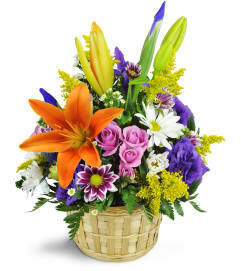 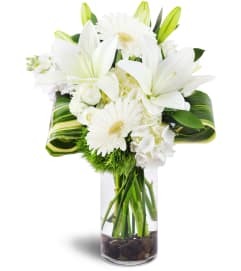 Let friends know you share their sorrow with this exquisite Heaven's Gate arrangement. 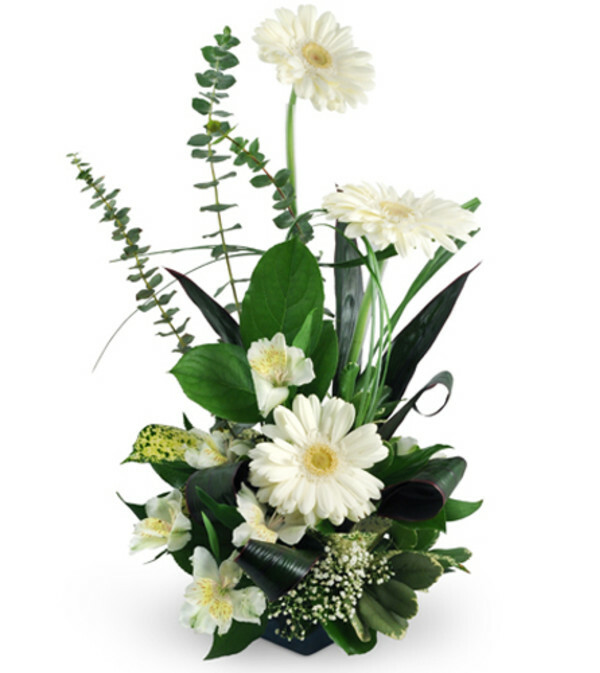 Featuring white gerbera daisies, white alstroemeria and baby's breath among deep tropical greens and eucalyptus leaves, Heaven's Gate is a subdued yet powerful way to show your sympathy. White gerbera daisies, alstroemeria, and baby's breath are expertly arranged among tropical leaves, eucalyptus, salal, pittosporum, and bear grass.